Hi guys, does anyone know what colours the blues are on the 86/7 fz750 1FN please. If not the correct paint code or name.. maybe a suggestion for a close match. 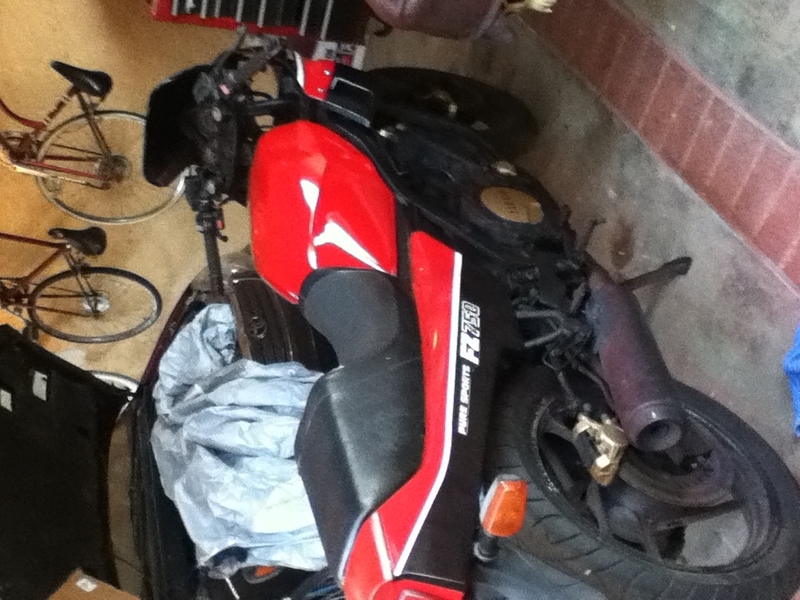 So i recently bought a 1987 Yamaha fz750 project bike for $500U.S. and im about done with it…. THE only problem is that when i bought it the guy said it needed a head gasket….SO i was okay. i paid for it and started to transform it from a ratrod BACK to original! It turns on but i dont want to start it for to long because of the problem. i havent got in the engine because im new to motorcycles and dont even know how to ride one!! This is my first bike and im determined to work on it. im 17 years old and i need help to take the head of and check if its warped or just needs the gasket.! ive just got myself a good running fz 750 with the intention of changing the front and rear end to something newer. ive done a few custom builds but really need some help with what rearend to put in it, ive got a 1999 r1 4xv front end im fitting which should be fairly straight foward, i also have the complete r1 rearend sitting there but understand it will be a pig to fit and cant find anyone thats completed this conversion. i would much prefer fit a tried and tested rearend, ive seen alot of people seem to fit the fzr 1000 swingarm but havnt found start to finish details. what year to use? what year has a 17″ rear wheel? as some have 18″! do the sprockets need adjustment to line the chain? any info would be a great help or a reply from someone thats done the conversion would be great!